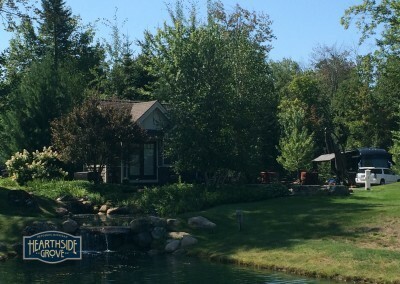 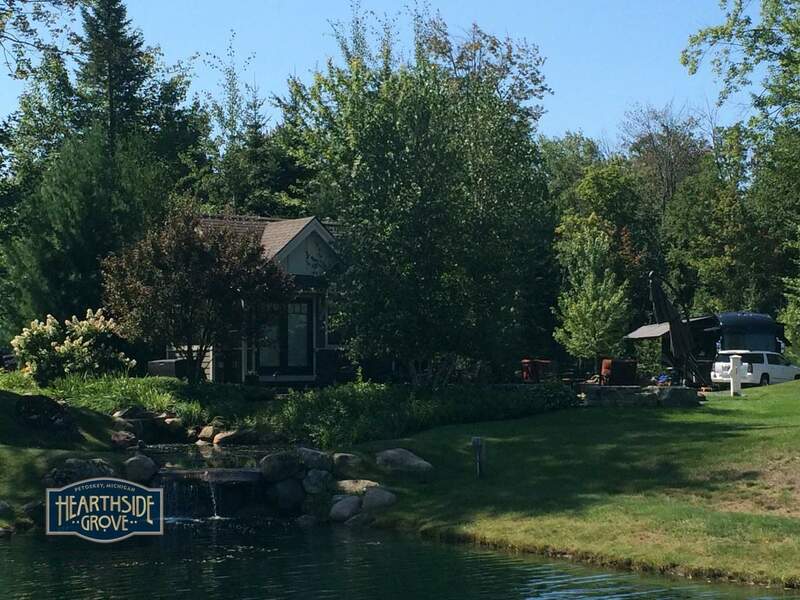 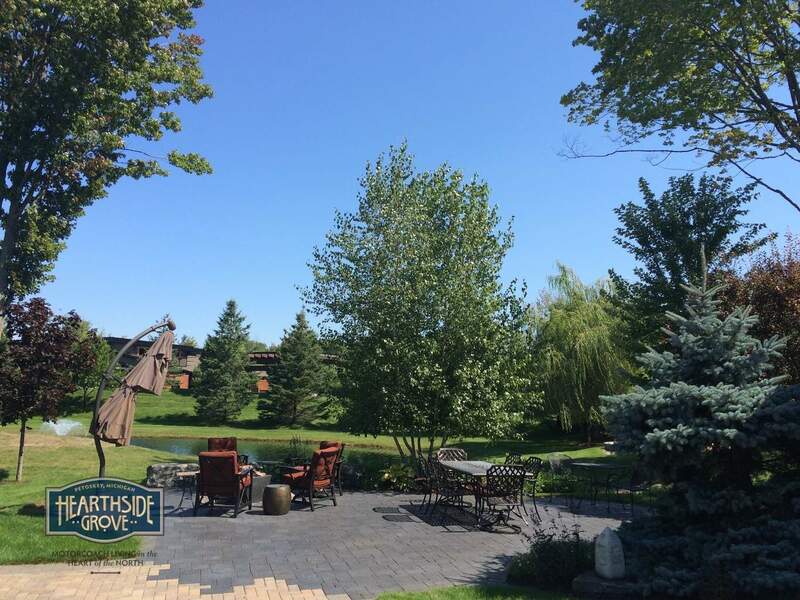 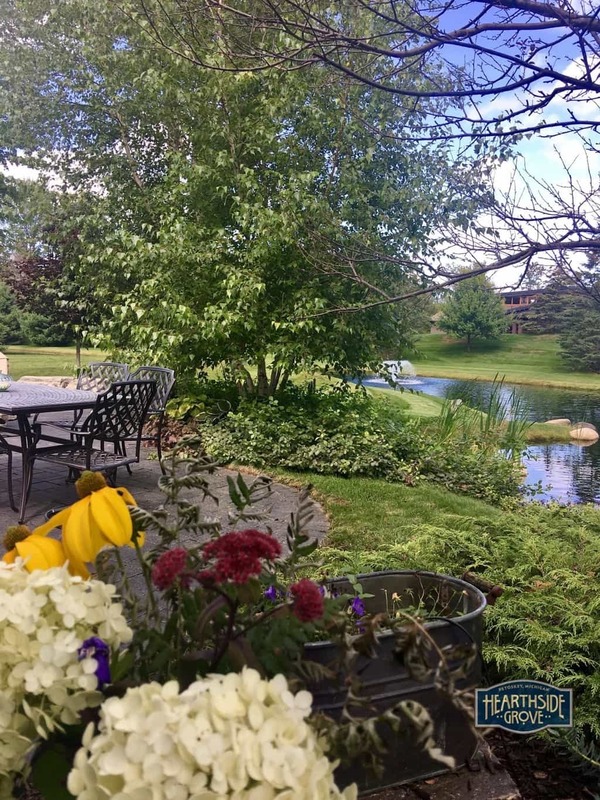 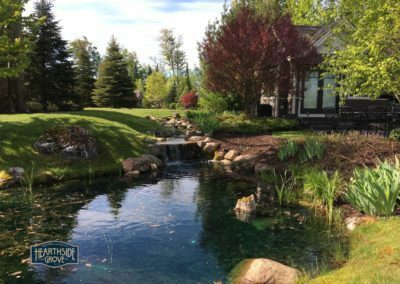 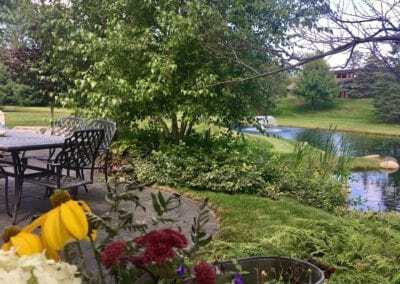 This pristine pull-in property is situated at the south end of the large pond and the heart of the neighborhood, providing a fantastic view and plenty of relaxing space. 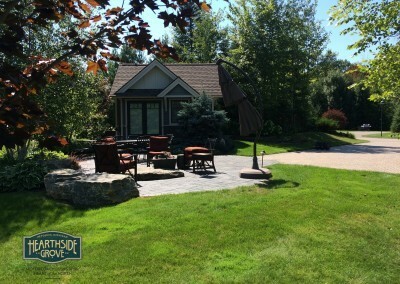 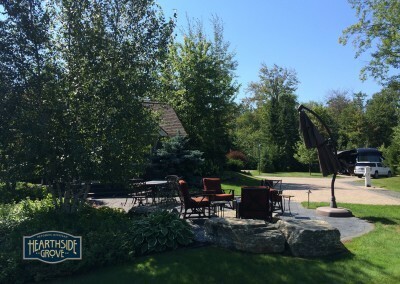 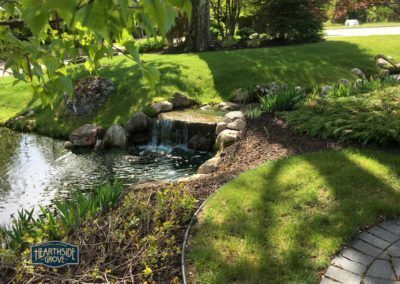 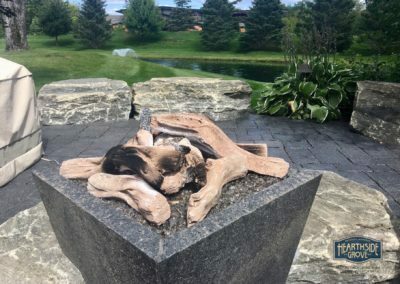 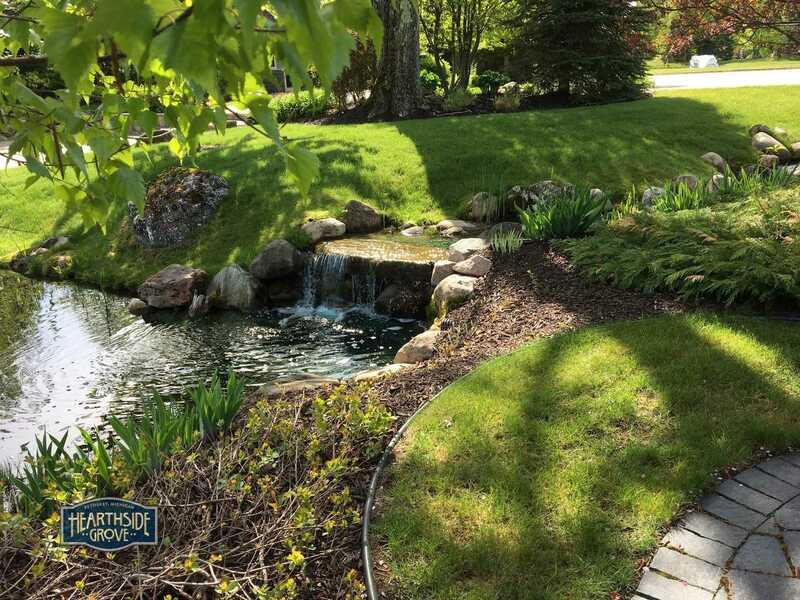 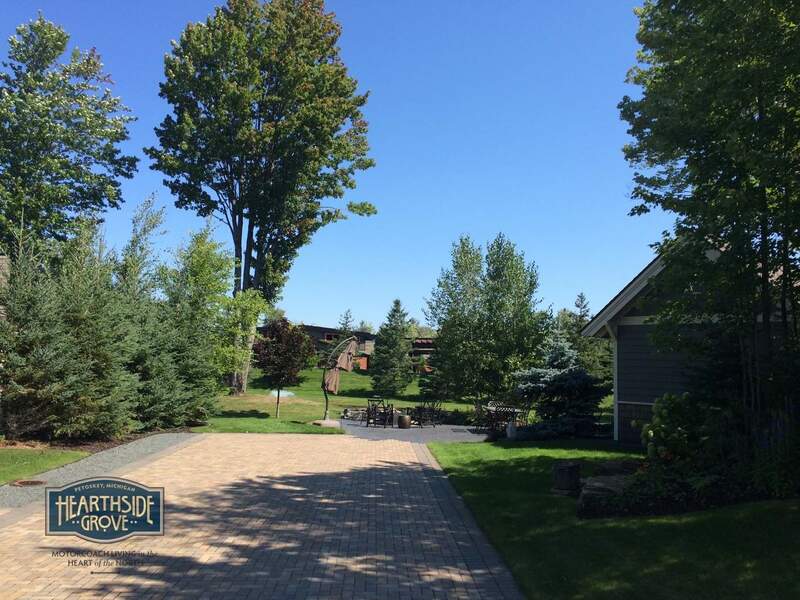 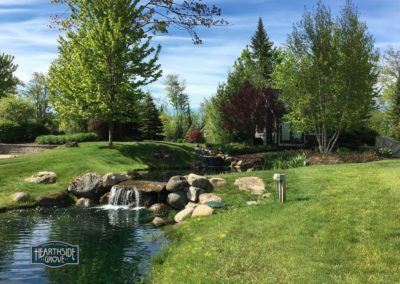 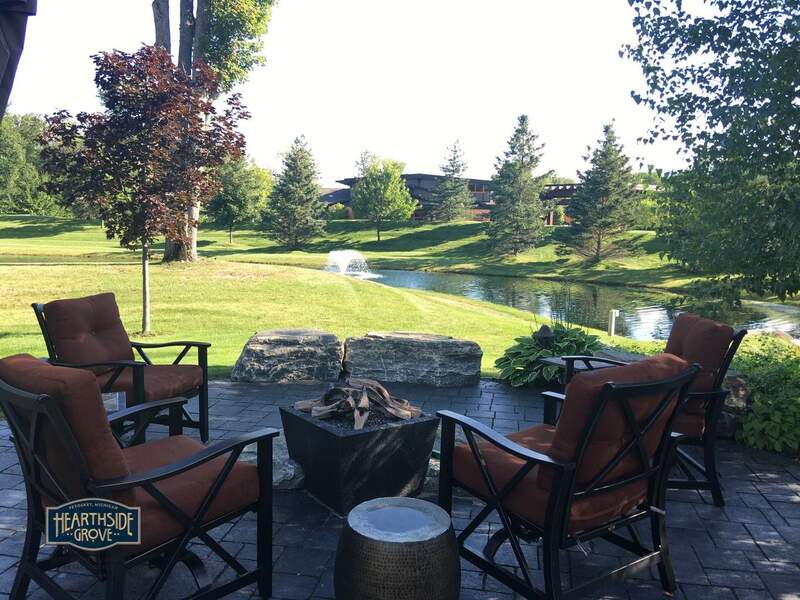 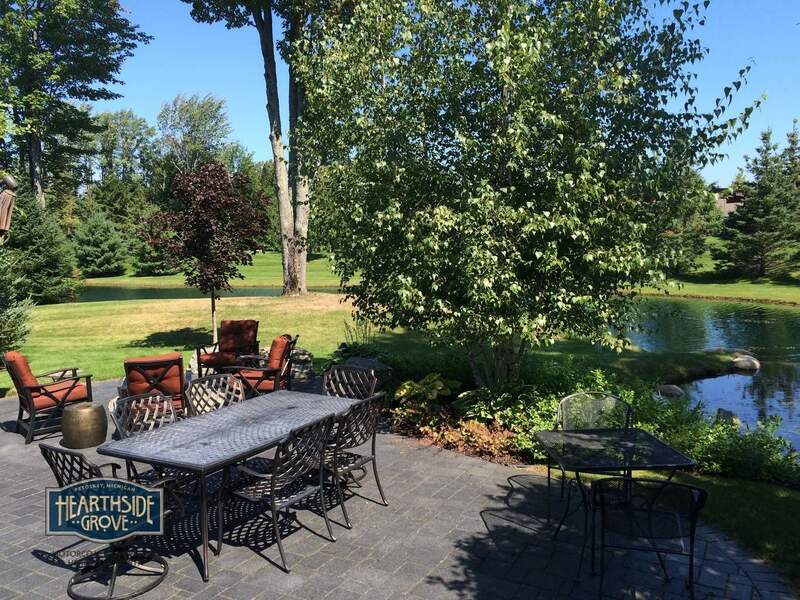 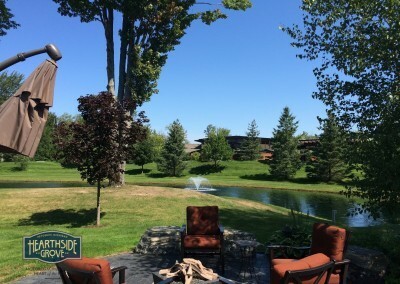 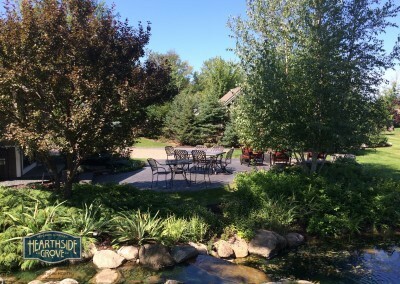 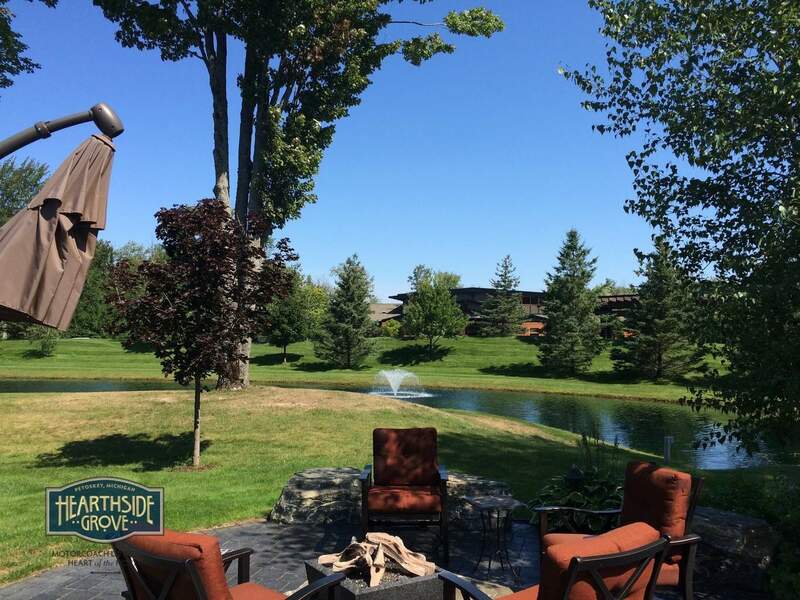 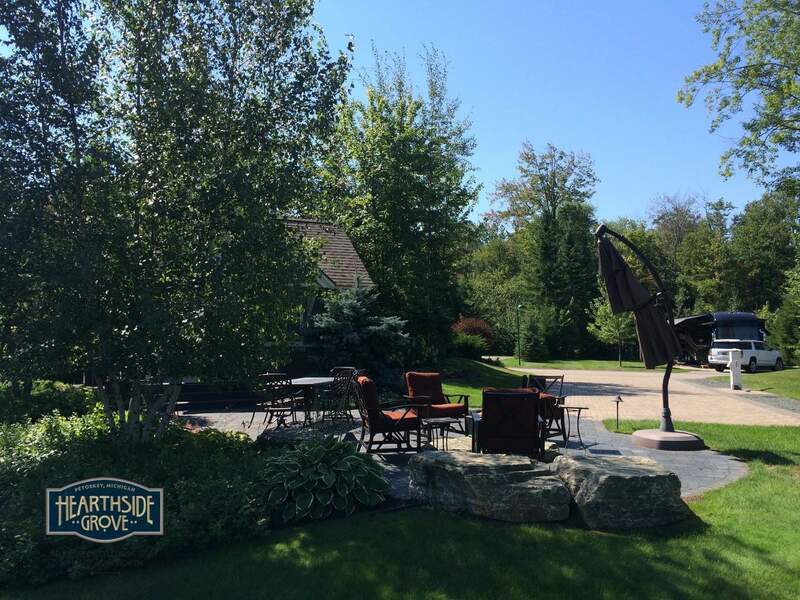 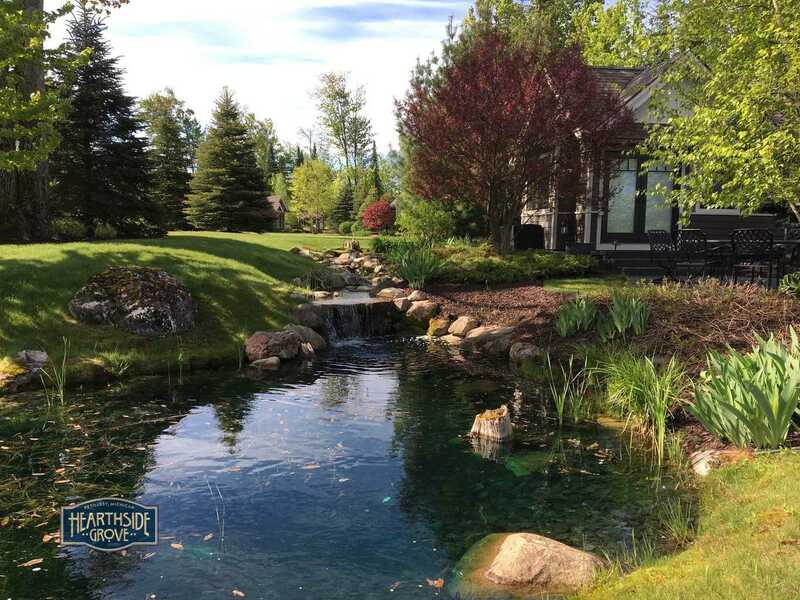 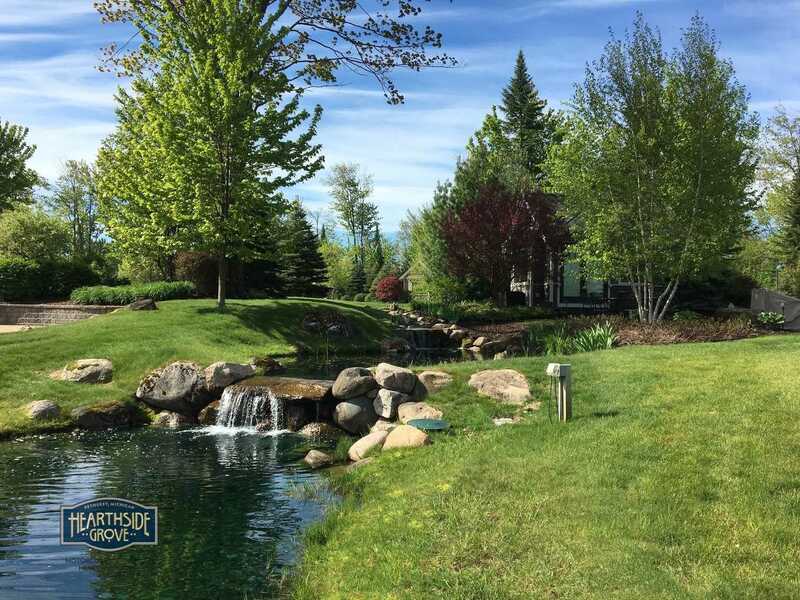 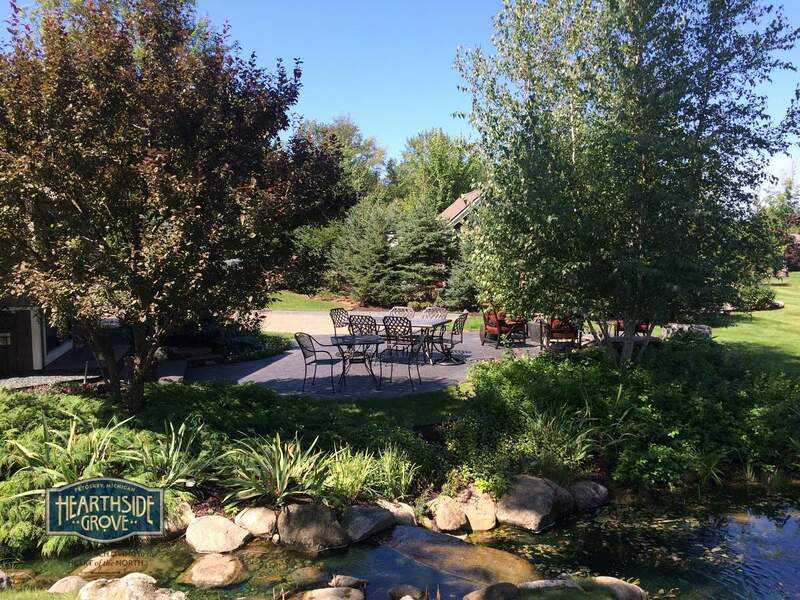 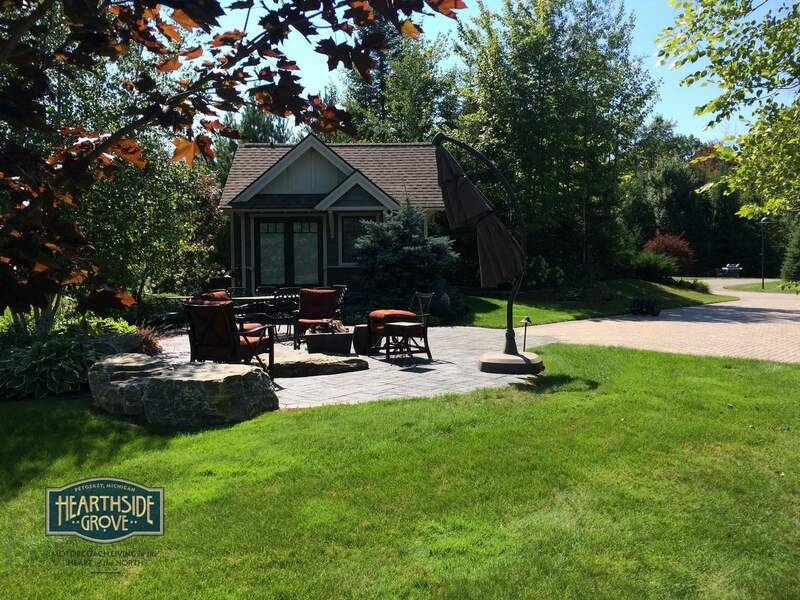 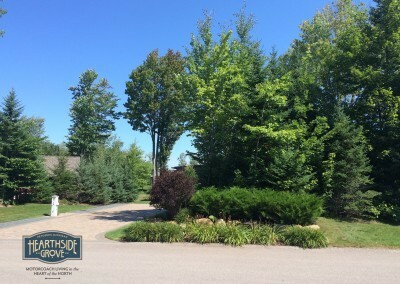 The brick-paved pad and expansive patio are spacious and welcoming, where you will enjoy sunrise over woods and water, afternoon sun to warm your activity, and lazy Northern Michigan evening shadows from behind. 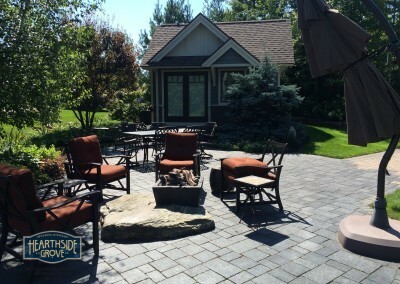 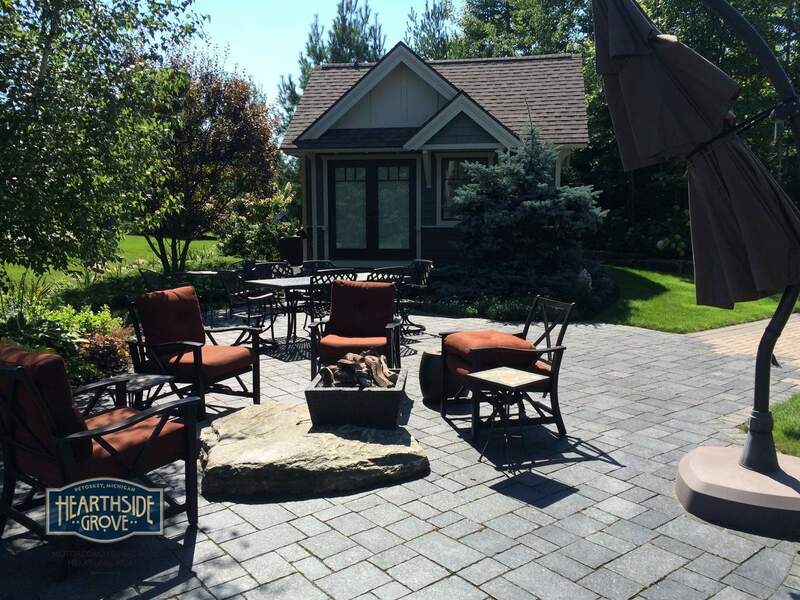 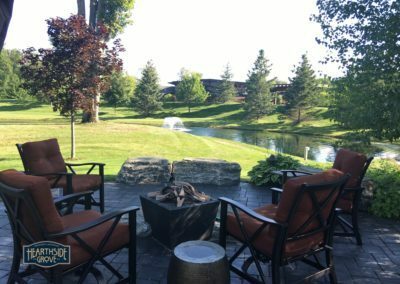 The outdoor lifestyle is easily enjoyed with the patio table and chairs, natural gas fire pit and comfortable surrounding furniture. The natural gas fire feature patio is at the northeast end of the pad to provide the best views over the water. 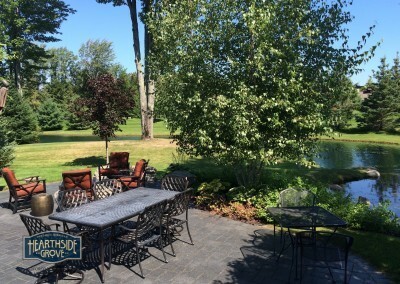 Enjoy this private entertaining space, while overlooking the adjacent pond and sharing a bottle of wine with like minded friends. 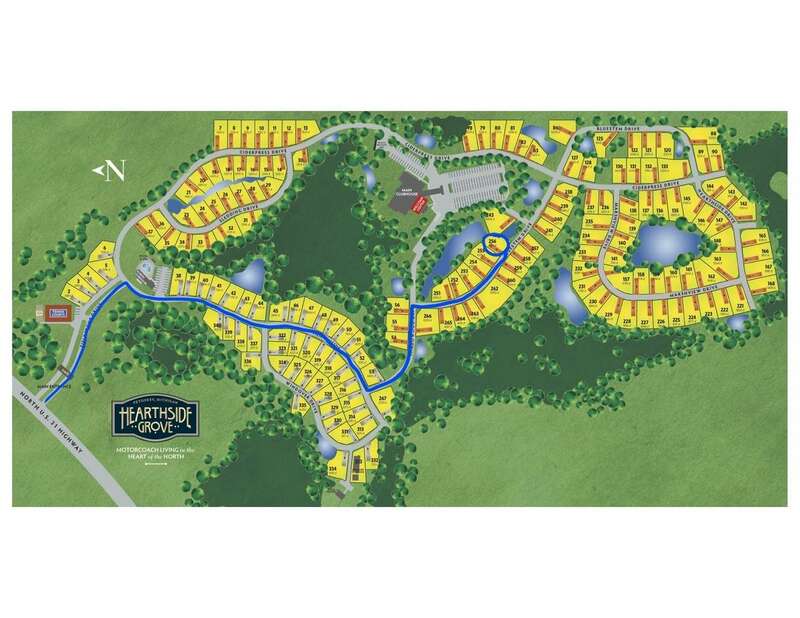 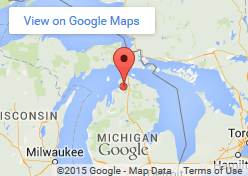 Contact our reservations office today to schedule your stay on this beautiful property.